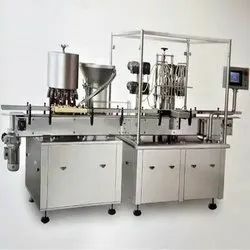 Semi automatic piston based filling machine to fill various liquids like milk mineral water, butter milk, 2T Oil, Coconut Oil, Mango Flas, bottles/Jars/Pouch Filling range :50 ml. to 5000 ml. 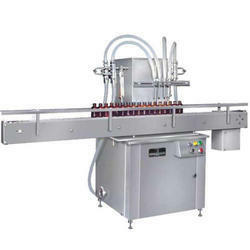 speed : 600 to 1800 fills / hour. - 1 H.P., 3 Phase, 4 Wire System, 50 Hz.